Summer is a great time to make memories with your loved ones; the biggest challenge for many is how to plan and make those memories affordable. According to Vacation Kids, who specialize in pricing vacations for families with children, to fly your family to California can be $200 per person, totaling to $1,200 for a family of six. Then, you would have to get your hotel which is $125-$300 a night. $625 for a hotel room meant to sleep just four people. Staying in a hotel also means eating out. Basic food and meals per day average to $60 per adult and $45 per child. Gratuity and alcohol increase that average. Family of 6 would average a 5 night trip for $900 on eating. The price can really go up when it comes to planning activities and entertainment. The price for a Disney Park entrance is $65 – $115 per person per day. Family of 6 would range from $1,085 – $1620. You’re looking at a total of $4,345. You may also be thinking a cruise is a better choice with your transportation, food, and activities are all included in the price. The average price for a 5 night cruise is $400 per person. Soft drinks, specialty drinks and alcohol increase that average. Flight and a cruise to Mexico would cost $3,600. Unfortunately, these numbers do not reflect any additional entertainment or shopping your family might be interested in, either. According to American Express’ 2013 survey on summer vacation family travel, the average expense per person in the United States is $163.57 per person per day. Keep that number in mind, because Access RV has the solution. We are in the business of making family memories, and are happy to be a part of your family’s summer vacation! 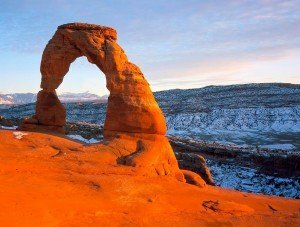 To help make life easier we have put together an RV trip planner that lists the 10 Best Value Family RV and travel trailer Vacations in Utah, all of which have a variety of activities and entertainment included in the overall cost and still beat the national average by a large margin. Contact us for any additional information you might need to plan your RV trip and let’s get you booked. We are here to make your family vacation the affordable success it should be! 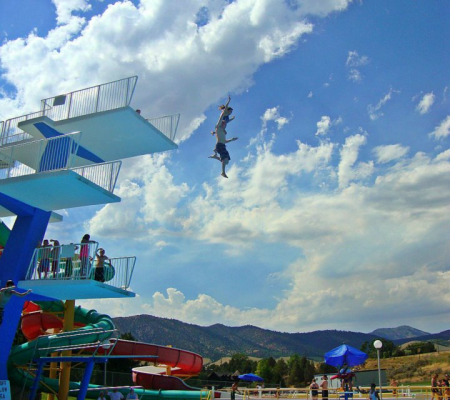 Lagoon is the region’s largest Amusement Park with an RV park conveniently located on the south end. 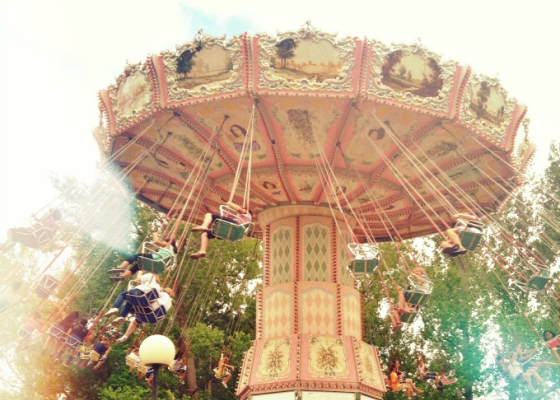 The park is very family-oriented, and has rides and entertainment for all ages. Spend a day soaking up sun and splashing around in Lagoon-a-Beach, and the next visiting Pioneer Village and getting your very own family portrait at the Old Time Photo studio. 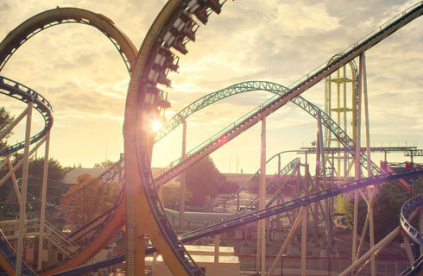 There are extreme adventure rides for anyone up for a challenge, including the Sky Coaster, Catapult, and Double Thunder Raceway. There are also several stages throughout the park, all of which have scheduled shows throughout the day during their summer season. If you enjoy a little extra thrill, visit during the month of October and see their Frightmares attractions- ranging from kid friendly fun to absolutely too scary for kids/adult only fear factor.Your family will love a to stay and play at Lagoon, and we can help you make it affordable! For RV park info, click here. While you’re staying at Lagoon, if your family wants to add variety to your vacation, a quick trip to nearby Station Park can be just the ticket. Find every kind of retail therapy you need, and enjoy one of the latest movies to hit theatres on the onsite Cinemark. They also have a large variety of restaurants if you need a break from cooking one night. Your family might also enjoy their free light and water show at the fountain, which goes on hourly during business hours. Because it’s less than a mile from Lagoon, it’s an easy escape for some or all of the family for a few hours. Moab is an internationally popular destination, and it’s a staycation for us Utahns! It’s an ideal weekend/ close-to-home getaway for a myriad of good reasons. 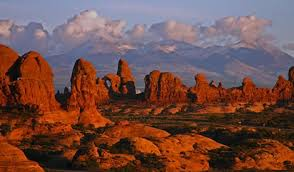 It is very near Canyonlands and Arches National Parks. Both parks offer breathtaking landscapes that are truly unique to almost anywhere else in the world. The red rock backgrounds are not only beautiful, but also offer prime rock climbing, hiking, jeeping, and much more! Hurrah Pass, which overlooks the Colorado River, is an especially beautiful break in the rocks that is also well worth a visit. If your family chooses to add a rafting excursion to your vacation, you will be able to experience the majesty of the river first-hand. It’s a popular river for rafting because it’s such a large river, and because of the scenery you get to take in as you go down. Jeeping and off roading is very popular, and there are Jeep rentals available if you are in an RV or your tow vehicle isn’t available for off roading. Biking and hiking trails are also spread throughout, so you can enjoy the beautiful red rock in just about any way your family prefers. Because of its convenient location, Cherry Hill Utah is a great “staycation” destination when renting an RV or travel trailer. There are fun family activities for parties with people of all ages.With over 100 full hookup sites, you can bring as many families with trailers or RVs as you need. Click here to make campground reservations. 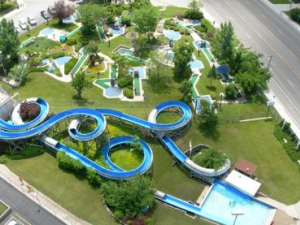 From their one-of-a-kind miniature golf course to their batting cages and waterslides, everyone is sure to have fun.Water features are geared toward every age- a lazy river, water slides, swimming pool and kids pirate splash area. There are picnic pavilions located throughout the park as well. One of the aspects that makes Cherry Hill so great for family vacations is that those who want to go to the arcade can go one way, while others who want to play the battlestar blasters can go another. The park is set up in the way that makes it easy to get from one end to the other, so you can divide and conquer- ensuring everyone is happy with the activities each day. So, whether it’s an intimate family vacation or an extended family reunion, camping in a rental RV or travel trailer at Cherry Hill Utah will make any family gathering affordable and easy. Hill Aerospace Museum is also located a short 20 minute drive from Cherry Hill Utah, and is also a great place to spend time during an affordable staycation in your rental RV or travel trailer rental. 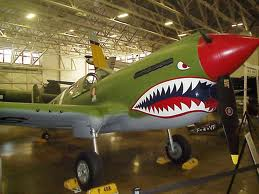 They have several historic exhibits that highlight aircraft and how it played key parts in American history, including WWII, Jets, The Cold War and more. Saturdays at 1:00 they have Airplane Talk, where an experienced airman from different eras of history come and present. It’s a fun, educational experience and popular for many families. You can also catch airshows if you visit during the right time of year. A visit to the Utah Botanical Garden, located five minutes from Cherry Hill Utah, is also a great Utah attraction when you rent a motorhome. With four complete gardens, it’s a beautiful way to enjoy time with family. They have events planned throughout the year, so be sure to check their website for what exciting things they have planned during your staycation. 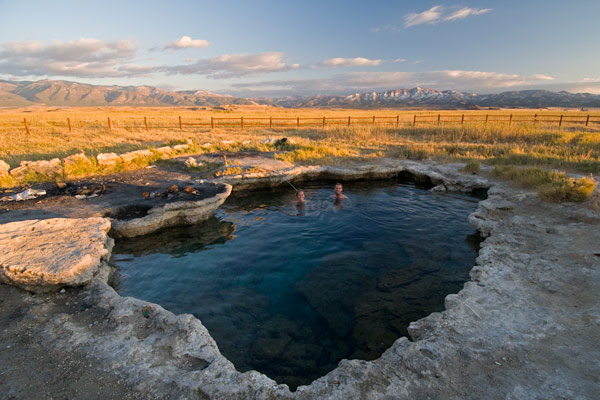 Lava Hot Springs is an exciting family getaway when you rent a motorhome. As one of the west’s best supply of hot springs, it’s a fun place to visit any time of year for motorhome rentals. Winters are fun because the frigid temps are hardly noticeable as your dip into the warm, steamy pools with family and friends. 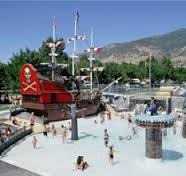 Summers are a great time to visit because you can enjoy the water parks in the warmth of the day and the hot springs when the nights get chilly.You can also enjoy an on-site massage after soaking in the all natural hot pools and before heading back to your campground where your cozy motorhome rental or travel trailer rental await you. There’s a zipline through the area, as well, for adventurers in your party who want more to do than water activities. For a real western adventure, the Baker Ranch Wagon Rides are exciting. Enjoy a horse drawn wagon ride along Dempsey Creek and a delicious BBQ in the mountains. One of the highlights is that the final 20 minutes of the ride, the wagons are lit in beauty of the twilight. Also included during the dinner is real “cowboy entertainment”. For more information on the campgrounds near Lava, please click here. 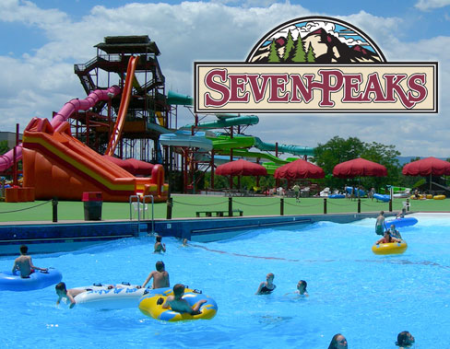 Whether you have toddlers, teens, or both, renting an RV or trailer to spend a few days at Seven Peaks is always a successful staycation. Staying at Lakeside Campground in your rental RV is the perfect location for several reasons. It grants your family easy access to Utah Lake, notorious for hours of family fun of boating, water skiing, wakeboarding, etc. Many families go to enjoy the sunset over the lake and mountains every night. It is a beautiful campground that is has the scenery and area outside the traffic and the city, but close enough to visit Provo Canyon for self-guided tubing trips down the river or a hike to beautiful Bridal Veil Falls.Lakeside Campground always comes recommended because you get the outdoor atmosphere and recreational options, as well as the choice to go to the waterpark for more specific water activities. It’s an affordable, cozy way to have a vacation planned with a variety of activities. Zion National Park is a place you can spend as many vacation days as you have and still see something new every time. 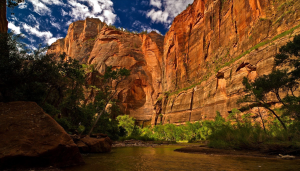 Families love to visit Zion because of the large variety of hiking, horseback riding, and backpacking trails. You can tailor your vacation to your liking with exactly the kinds of trails you prefer, including difficulty, length, and number. 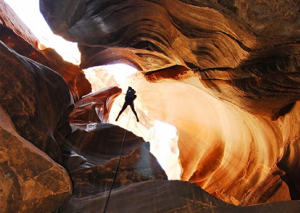 Zion is an ideal destination because it offers unique beauty and offers great weather for most of the year.Canyoneering is a very popular activity, for all levels of experience. There are certain qualifications for the more difficult areas, and permits for them are required. With 100,000+ acres of designated wilderness, you can find the perfect adventure for you and your family. Bear Lake, or the Mediterranean of the Rockies, is a beautiful blue lake that offers more than just great family memories. With perfect sandy beaches, days can be spent lounging in the sun or out in the clear, blue water. You can bring your own boat, or rent one from one of several locations along the lake. There are also paddle board, boat and a variety of other rentals available as well. For the KOA campground website, please click here.Every summer, Pickleville Playhouse is popular- where you can have a delicious dinner followed by a show put on by a talented group. They have two running shows, so you can always return another night because it was so good- and many families do. Bike rentals are available, and a bike path along the main street in Garden where vacationers can run, walk or bike. There are also ATV rentals and great hiking trails for those in your group who prefer mountain adventures. If you have golfers, the area offers two courses. 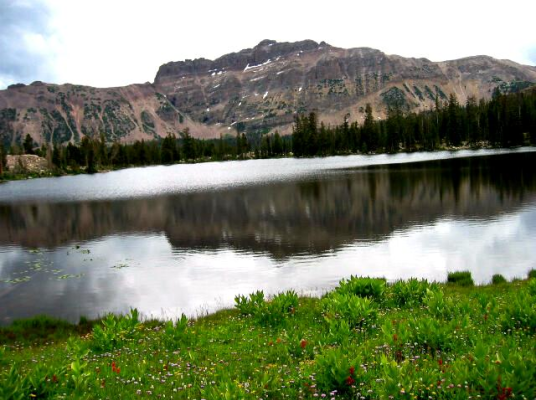 Bear Lake is a complete package destination, and nice because it’s a beautiful, scenic drive from the Wasatch Front. 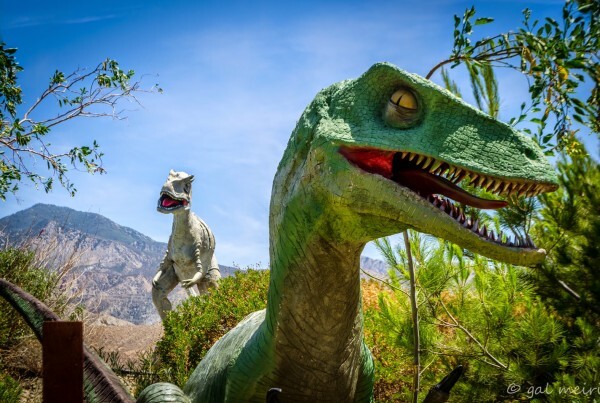 The George S. Eccles Dinosaur Park is a fun place to begin your family’s Dinosaur Discovery Trip! It’s complete with every kind of prehistoric creature, from herbivores to carnivores and every kind of crawler and flyer. Your family can even see one of their main attractions, a 45×20 ft Tyrannosaurus Rex. Then, head to the Flaming Gorge KOA (as an Access RV renter, you will receive a 10% discount) and set up camp for your next dinosaur encounter. 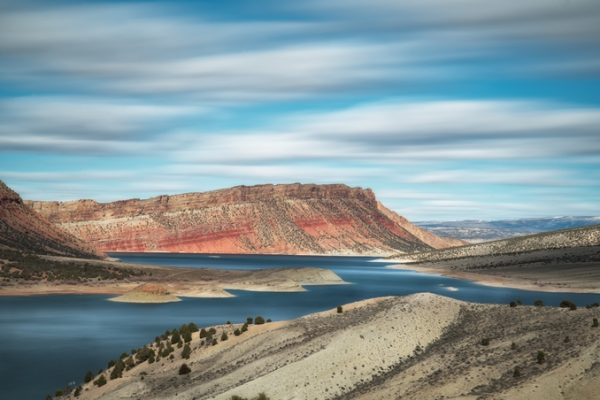 This puts you conveniently located along Flaming Gorge, where you can enjoy an array of water activities, as well as visit the Utah Field House of Natural History Museum in Vernal, where they have an entire museum dedicated to the history of Dinosaurs in Utah. Life size replicas of the dinosaurs surround the museum, and there are many ways to explore the dinosaur history- from chisels and digs to puzzles and museums. There are activities for every age. From there, you can travel to Blue Mountain RV Park, where you can visit The Dinosaur Museum. This one is unique because it exhibits the entire history of the species- from fossilized skin, eggs and skeletons. The information focuses on the Four Corners region, as well as history from around the globe. Lastly, as you head back to home sweet home, you can stop at the Museum of Ancient Life at Thanksgiving Point. 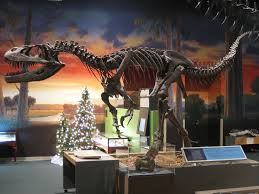 They have 60 complete dinosaur skeletons, as well as over 50 hands-on exhibits. It is a great place to wrap up your dinosaur discovery experience and review the fun things you’ve learned. This vacation is a favorite because it provides education as well as quality family time.You can spend as much time as you have at each stop, extending or modifying your explorations to fit your vacation time. Families love going on this adventure together. 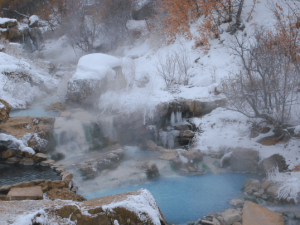 Crystal hot springs in winter. Snow and ice surround milky blue pools. Crystal Springs is a wonderful place to spend time together with family. The unique, natural hot springs are a fun place to visit in any season. The forests that provide the beautiful backdrop for the hot pools are a great place to adventure into, followed by a relaxing soak. There are also volleyball courts set up near the campgrounds, which is another great family activity for your vacation. 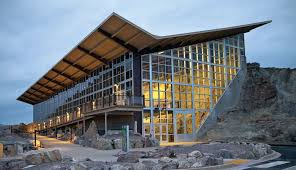 The hot springs are located near enough to Logan, that many people visit the American West Heritage Center- which has many activities for kids and families.Logan Canyon is also a place that many people include in their Crystal Springs vacation. 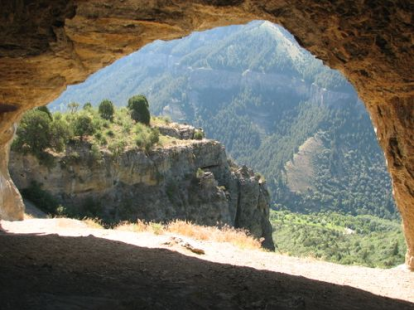 It’s a great place to take your family up to see the Wind Caves, naturally formed caves due to wind erosion over thousands of years. There are also many other hiking trails that overlook the beautiful canyon, and campgrounds within it if you want to break up your vacation. 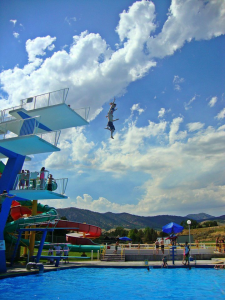 Also within Logan Canyon is Tony Grove Lake, another beautiful mountain lake to add to your family vacation agenda.From there, you can travel to Blue Mountain RV Park, where you can visit The Dinosaur Museum. This one is unique because it exhibits the entire history of the species- from fossilized skin, eggs and skeletons. The information focuses on the Four Corners region, as well as history from around the globe. Lastly, as you head back to home sweet home, you can stop at the Museum of Ancient Life at Thanksgiving Point. 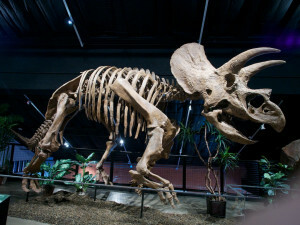 They have 60 complete dinosaur skeletons, as well as over 50 hands-on exhibits. It is a great place to wrap up your dinosaur discovery experience and review the fun things you’ve learned. This vacation is a favorite because it provides education as well as quality family time.You can spend as much time as you have at each stop, extending or modifying your explorations to fit your vacation time. Families love going on this adventure together. Many families enjoy RVing to the Uintas because they offer undeniable beauty, and it is fun to surround yourself in it. Renting an RV or travel trailer is ideal for spending a weekend or a month in the Uintas. There are endless trails for hiking, many of which lead to beautiful lakes, like Ruth Lake pictured. 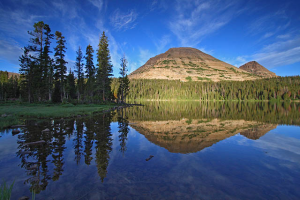 Also, pictured below, is very well-known Mirror Lake, popular because of the trout fishing. Because the camping locations are free, many families choose the Uintas as an affordable option for holiday weekends, and times when the family could use a break without breaking the bank. It’s a short drive, great for enjoying the outdoors, and offers beauty and sport whether it’s winter, spring, summer or fall. 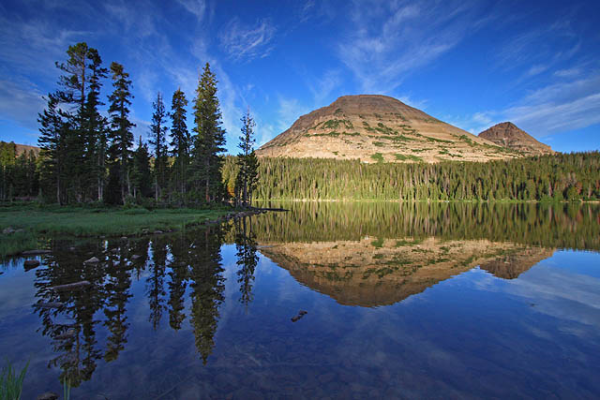 Whatever outdoor activities your family enjoys, pack them and take them to the Uintas. It is always fun. 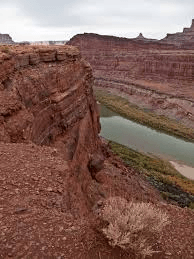 Moab RV Valley Resort – Lots of activities here! $394 for Colorado River Half Day Raft. Lunch included. Averages to $65.66 per person. Utah Botanical Center: annual memberships are $35, family memberships are $50. 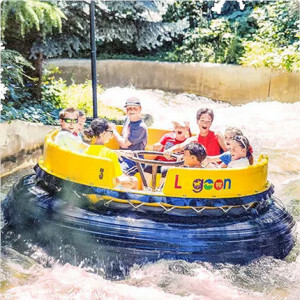 Gator Tubing & Mini Golf: $$ – rent a tube (hourly or by the day) and float the Portneuf River and receive FREE or discounted mini golf tickets. Hiking and tubing down Provo River in Provo Canyon. 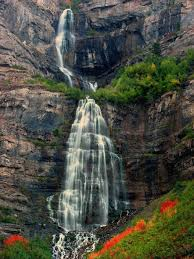 Drive to canyon for a Hike to Bridal Veil Falls. 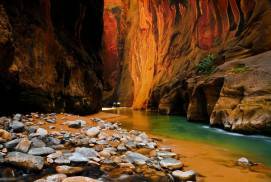 $0 for Zion Canyon Shuttle that takes you to popular destination throughout Zion. So many trails and hikes available to do that would take months to get to see all of them. Make sure you check the parks website for a list of available hikes and if there are any seasonal/holiday closures. Rentals: ATV for $125 a day. Side by Side $189 a day from Delmas Equipment. 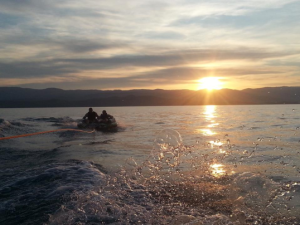 Jet Ski and Boat rentals by the hour. 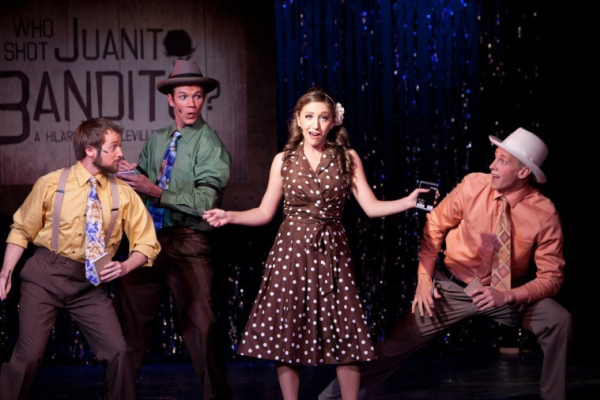 Pickleville Playhouse dinner and a show: $19.50 per person. $45 for Flaming Gorge KOA Campground. $9 per person. $53.17 for Blue Mountain RV Park campground. $8.86 per person/night. $84 for The Museum of Ancient Life at Thanksgiving Point. About $17 per person. American West Heritage Center: prices vary by season and activity, but they offer wagon rides, baby animal days, slides, historic sites, corn maze, and much more!